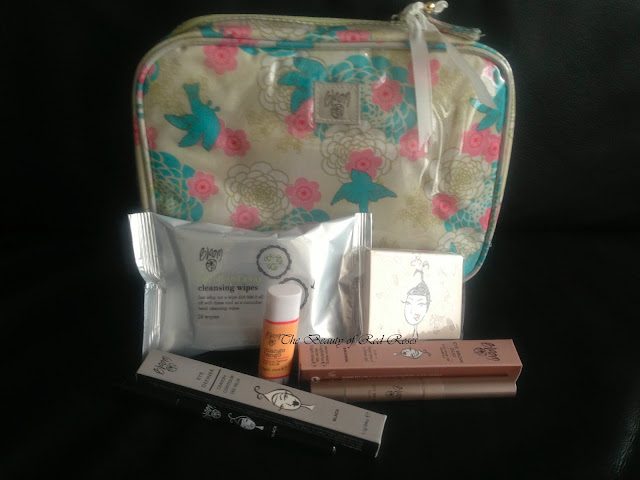 Bloom Cosmetics at David Jones has a pretty good Value Beauty Bag on offer at the moment. They have a 6-piece beauty essentials set for $49.95 which is worth $105! That's a really great offer and a great chance to try Bloom's popular products if you haven't used Bloom Cosmetics before. Today I will be reviewing these products that I have fallen in love with recently! 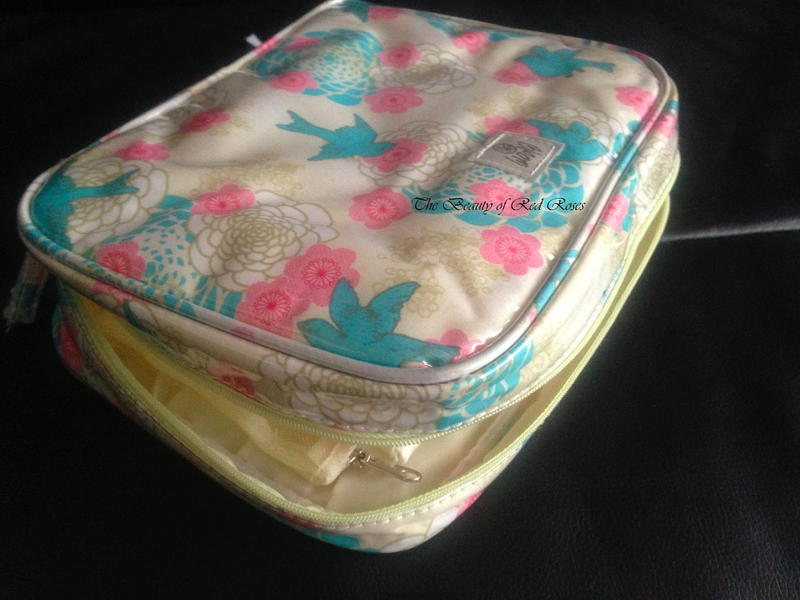 The Bloom beauty bag has a gorgeous floral and bird print and is made from durable PVC. The bag has three mesh compartments inside that you could store lip, eye and makeup/skincare products in each compartment. There is also space on the inside of the bag to store essential makeup brushes. There are 24 wipes in this neat little pack and I'm really surprised that this pack is so much smaller and compact than cleansing wipes from other brands with around the same number of wipes. The wipes are super soft, removes all my makeup effortlessly and leaving my skin feeling refreshed, revialised and clean! However, I did take a little while to completely remove eye makeup and mascara. 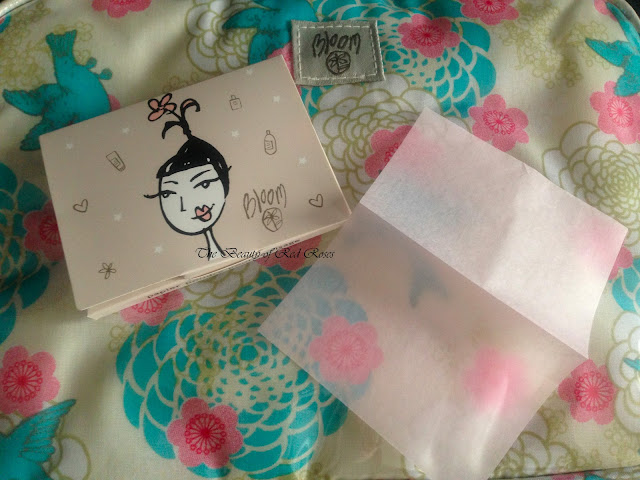 For eye makeup, I prefer to use a cleansing oil as eye makeup can be quite difficult to remove with just cleansing wipes. 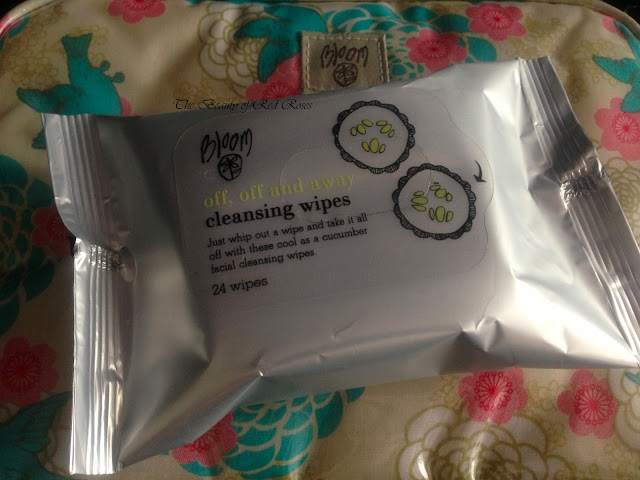 These cleansing wipes are very gentle to my skin and don't irritate or dry my skin at all. What I love about these wipes is the beautiful, pleasant and light scent. The wipes are enriched with cucumber, camellia leaf, aloe vera and ginseng extracts. I love drinking Boost Juice and using lip balm (of course!) and together Bloom and Boost have collaborated to create the Boost Lip Balm Stick! These Boost Lip Balm Sticks are actually oval in shape rather cylindrical. I found that quite interesting and different as I expected that these balms would be round in shape. I'm not much of a fan of fruity scented lip products, however, this is one exception! 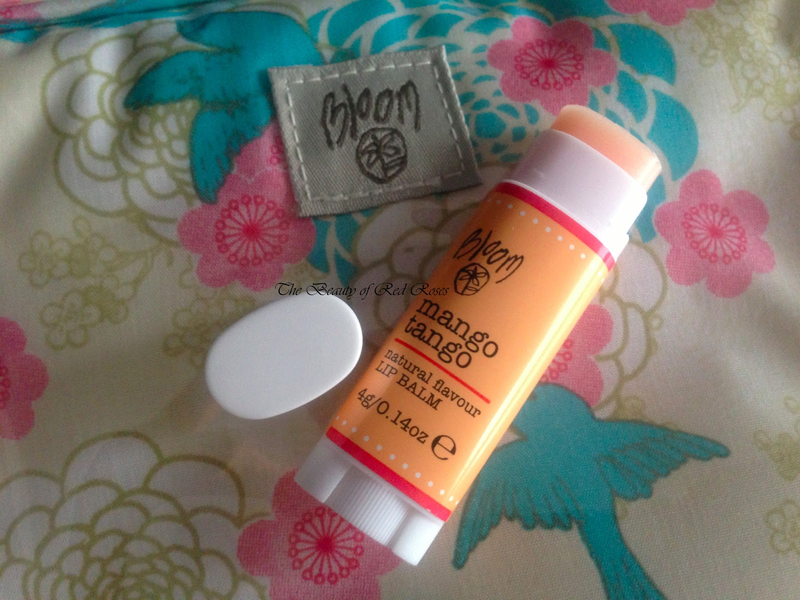 The scent of Mango Tango is del-i-cious and yummy!! The balms are formulated with soothing beeswax, nourishing jojoba seed oil and moisturising vitamin E. There are 6 flavours in the Boost Lip Balm range which are (surprise, surprise!) named after the popular smoothies and juice crushers at Boost Juice Bars: Banana Buzz, Berry Bang, Mango Tango, Strawberry Squeeze, Tropical Storm and Watermelon Crush. 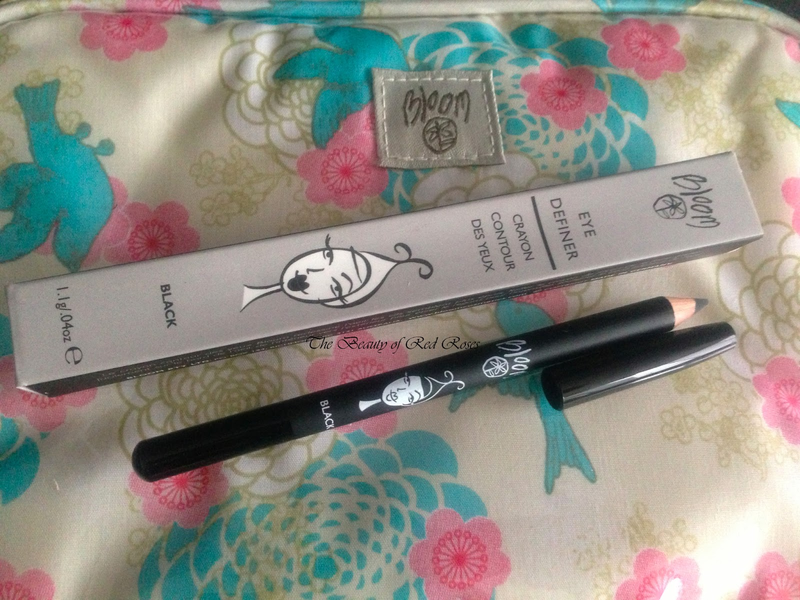 You can't go wrong when using black eyeliner! Bloom's eye lining pencil defines the eyes with their smooth pencils. Just make sure you always have a pencil sharpener on hand in case the tip of the pencil goes round. If you have an oily-T-zone like me, then these blotting papers will be your hero! They absorb excess oils on the surface of the skin leaving your face looking a lot less shiny! They are made from rice paper tissue and infused and scented with lavender essential oil. 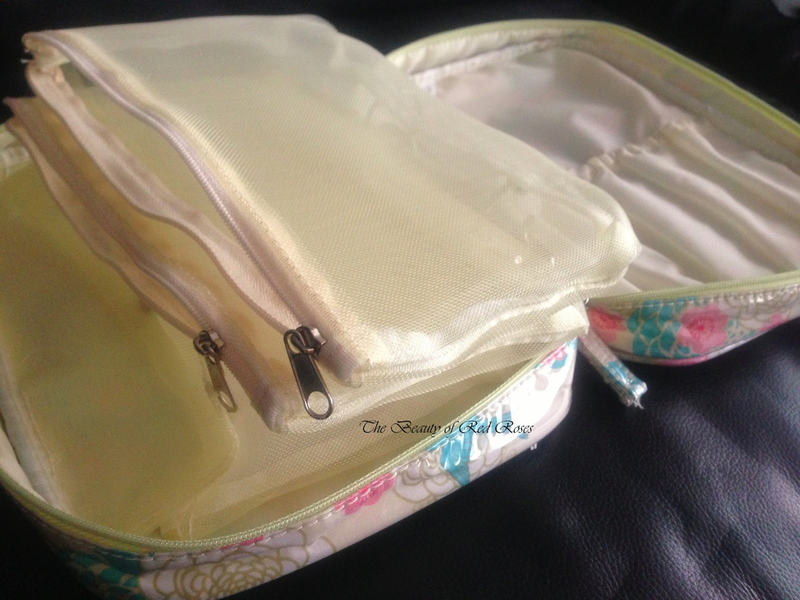 Bloom is so well known for the lavender scented products and being a huge lover for the scent of lavender, these blotting tissues are worth keeping in my handbag! 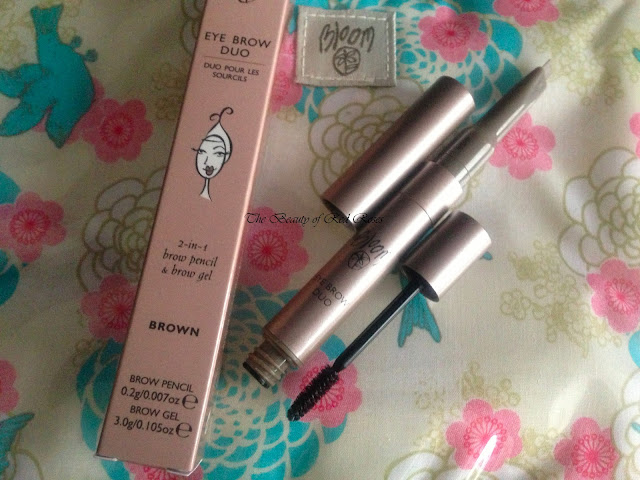 Bloom's eye brow duo is genius! It's a 2in1 brow perfection tool which has a slanted tip to allow for enhancing and defining the brows. The other end is a transparent gel to set the brows in place. I love how you can apply thin and wide strokes with the slanted tip and this makes filling in the brows so much easier than a regular brow pencil. The shade of the pencil end pictured above is brown and it's not very pigmented. That is a great feature as you would avoid using too much product. The light tint this pencil provides is buildable, so you could achieve perfectly defined and groomed brows. Overall, I found that Bloom's Value Beauty Bag contains a great variety of essential beauty products for your office desk, travel or even short road trips. It is definitely an offer not to be missed! For $49.95, you are basically purchasing each individual product at half price. Are you a fan of Bloom Cosmetics? Which products in their range do you love most? Products were provided for consideration only. This review is 100% based on my own thoughts and opinions. I am not affiliated with Bloom Cosmetics and did not receive remuneration to post these product reviews.